sasquatch (also called bigfoot): from Salish se’sxac: “wild men”; a large, hairy, humanlike creature believed by some people to exist in the northwestern United States and western Canada. It seems to represent the North American counterpart of the Himalayan region’s mythical monster, the Abominable Snowman, or Yeti. The tent fills with the sound of rustling nylon. Small hands grab for the electric lantern tucked away in the corner. The bulb inside buzzes and flickers to life, casting strange shadows across the taut temporary walls. There was the snick of the zipper and the door folded out and flopped toward the ground. More nylon rustles as Heather scrambles to sit upright. She perches in her knees with her fists clenched tight and frightened around the cool fabric of her sleeping bag. “I’m gonna find out what it is,” Abigail says. There is a hint of annoyance in her voice that does nothing to calm Heather’s fears. Abigail steps outside, taking the light with her, and when the warm glow of the lantern is gone Heather jumps to her feet. She scurries after her sister.She bumps Abigail’s back, shaking the beam of light so that the shadows all around them seem to stretch and grow along the gnarled bark of the trees. Abigail doesn’t startle. She never does. She sweeps the light across the trees, yawning as if to prove fear futile and even useless. When she’s hit each bramble and bush she drops the lantern to her hip. She seems ready to turn back to the tent, intent on getting back to sleep, but Heather grabs her arm. Heather is holding her so tight Abigail can feel her little nails cutting half-moon slits into her skin. She thinks it might break and bleed and when the jostled lanterned spills toward Heather, Abigail finds her tiny knuckles gone white as she squeezes. She shakes her sister to no avail, and when she pushes for Heather to let her go, Heather’s big eyes only grow wider with fear. “Do you see it?” she says, finally. At last one hand frees Abigail - the other still holding on like a vise - to point at a high point between the trunks of the trees. “See what?” Abigail whispers. She shines the light, but all she finds is a lot of brown and black and green muddled together like paints on a used up palette. She takes a small step forward, stopped only by the tug of her sister’s firm grip still latched upon her arm. “Heath, there’s nothing there,” Abigail insists. The leaves rustle, but there’s no wind to move them. Heather jumps and presses her little body against her sister’s back. She is trembling all over, almost like the way she did when they found a buzzing hornet’s house on the belly of their treehouse - almost like that, but worse somehow, because this kind of shake seemed to start in her bones and radiate out. Abigail thought she felt the ground beneath then shudder with the force it. “Abbi,” Heather says again, but the leaves move again and a branch snaps and falls. Both girls scream. They turn, Abigail dropping the lantern in her frenzy, and stumble over one another as they race back to their tent. “I’m trying,” Abigail says through gritted teeth. She feels sweat prick her forehead and she wipes it away as one hand still tugs desperately at the zipper. Outside the tent, the shadows move. Something massive comes out of the trees, a hulking figure that walks stooped over but isn’t fooling anyone. Abigail can see the rippling ridges of its over-broad shoulders. Thick fur hangs off of it like moss from a tree. It hands hands like Abigail’s. She can see that much as it pokes a curious finger at the lantern still rolling on the ground. It crouches down and Abigail thinks she sees it bow its head to sniff at the offending object. She is frozen in both terror and awe, watching the strange creature prod at her lantern. It plucks it between two fingers the way she sees her father sometimes pick up peanuts from a jar. It holds the lantern up to the moonlight, then howls when the harsh light of the bulb hits its eyes. For the second time that night the lantern falls, and this time its plastic panels crack in spiderwebs. The creature rubs at its eyes, shaking its head and crawling back into the shadows again. Abigail and Heather sit in stunned silence. They watch the shadows, but nothing happens. The large creature doesn’t come back. In the morning, their father will hike from his site at the bottom of the slope and find the lanterned shattered, the handle cracked in half, and his daughters huddled together at the far end of their tent. He will try to explain away what happened - a dream, a nightmare, and when the girls insist they were both awake and both saw it, it suddenly became a trick of the shadows. “People see all sorts of things in the woods,” he says, but they had never seen something like that before. Abbi Warren sits cross-legged on the hood of her F150. A tin mug of steaming coffee is cupped between her gloved hands. It is a cold October morning, and the mist has yet to clear. A wool hat is tugged so low over her forehead it nearly covers her eyes. Heather is now twenty-five, but in many ways looks much like the frightened girl in those dark woods those two long decades ago: the same wide brown eyes, the same white-knuckled fingers - though this time they were wrapped around a diner take-out cup instead of Abbi’s wrist. She slurps at her coffee and drops the empty paper cup into the holder before sliding out of the car. Her blanket caccooon sheds itself behind her and falls into a heap on the truck’s leather bench. “Why are we doing this again?” she asks. Her hair is in two long braids slung over her shoulders and, without gloves to warm them, shoves her hands into the deep pockets of a winter coat it was still too early to be wearing. “We haven’t found anything,” Heather says. “We might not ever find anything,” Heather says. She’s right, and Abbi knows it. They’ve followed the stories up and down both coasts and still, nothing. They’ve spoken to experts who were always just fantasy enthusiasts begging to prove the skeptics wrong, the people with books on cryptids perched on their coffee tables begging you to ask about them. They’ve read those books, and all the forum threads online, and the'y’ve followed every lead to no avail. Abbi sighs. She’s not willing to give up. She’s not willing to let her sister give up, either. “You just don’t want to go in,” Abbi retorts. “We probably won’t find anything,” Abbi concedes. The words leave a bitter taste in her mouth. Again, Heather thinks on it, and this time she sighs. 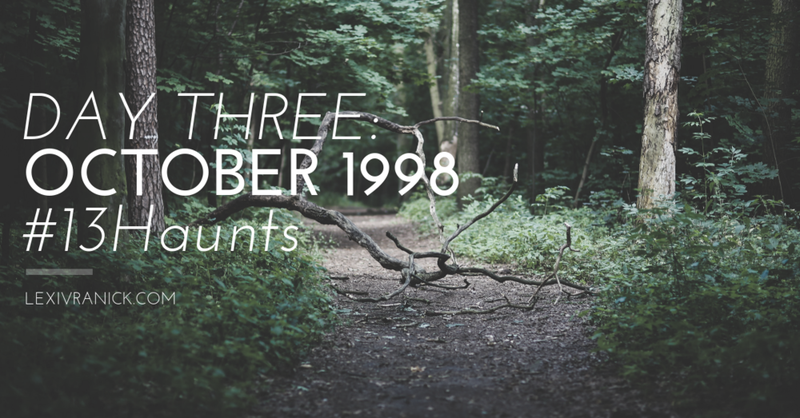 It has been twenty years since that night, since the thing in the woods that crept out of the shadows and scared them half to death. They had tried to forget - tried to rationalize the way their father taught them, tried to find an explanation that could ease their minds. But at night, when the moon was high and the wind whistled like it did that night, they’d whisper to each other, “Do you remember?” What it looked like, what it smelled like, the way its hair mimicked the trees. Abbi couldn’t let it go, and the more she spoke about, the more Heather realized that she couldn’t, either. She steels herself and looks into the wide expanse of trees laid out before them, resisting the urge to jump back in the car and peel away back down the mountainside. They spend the day hiking. Hiking, and searching. They kneel on the ground and brush at the dirt. They veer off the trail and inspect rogue branches for tufts of foreign fur. Once, they heard a rustling that sounded almost right, but when they investigated further they found only a small bear on the far side of the woods, a mere speck with the distance between them. It paused and seemed to look to them, then lumbered on unfazed. “I’m sorry I dragged you out here,” Abbi says as the sky turns purple and the bumper of their car emerges through the trees. Her hat has long been removed and her hair is tossed and wild. She trails off, and stops in her tracks. Abbi keeps moving but Heather’s hand at her elbow holds her back. Abbi feels annoyed for all of a second before she sees the look on her sister’s face, that odd mixture of terror and awe Abbi herself had only ever felt once before. And the hulking giant perched on its hood.